This is a guest blog written by Michèle Moris and Charlotte Verstraete on behalf of the KU Leuven SPIE/OSA Student Chapter. Greetings from the KU Leuven SPIE/OSA Student Chapter in Belgium! We’d like to share with you how participating in outreach has shaped our chapter and given us hope for the future. We are fortunate in that our university has organized several annual events to help educate the public, especially children, about science. Last year we were able to contribute to two of these events: Children’s University and Day of Science. At Children’s University, children aged 8 to 13 can walk in the shoes of university students for a day. They attend a scientific seminar, followed by a workshop that simulates lab work. At noon, they have lunch in the cafeteria, and a similar program of lectures and workshops is held in the afternoon. The only difference between this and real university life? No homework! Several campus groups organized workshops on various topics, ranging from chemistry to mathematics. We provided the workshop ‘Licht met kleuren, kleuren met licht’ (‘Light with colors, coloring with light’), discussing and demonstrating the general concepts of light. SPIE diffraction goggles and multicolor LED lights were used to reveal how primary colors can be combined, and how these concepts apply in everyday life – how the primary colors of pixels in LCD computers create brilliant hues, for example. In other experiments, we explored why the sky is blue, and how the color of objects is dependent on how much light is absorbed and reflected. For this, we used gummy bears and finger lights as demo tools. 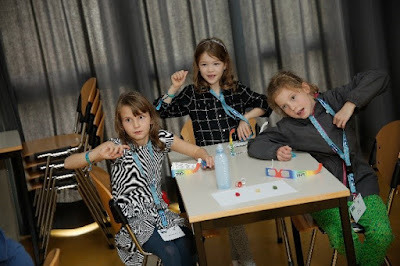 We learned that kids love any excuse to play with gummy bears, especially when followed by “digestion” experiments! 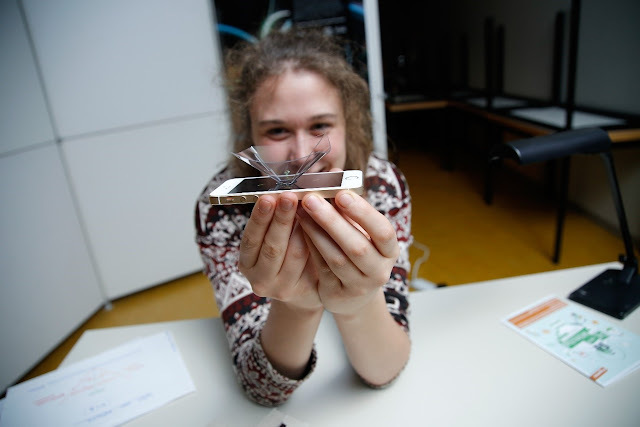 As the theme for Children’s University this year was ‘A Better World,’ we also added some experiments that helped older children understand how light is used in different types of technology such as fiber optics. We also explained that light is energy – more and less depending on the wavelength – which can be captured using solar panels. We loved being a part of this entertaining day, providing a source of inspiration to these students. We hope that one day they will be leading outreach workshops, teaching other kids about their research! We also participated in the annual Day of Science, a regional event that includes many companies and universities. 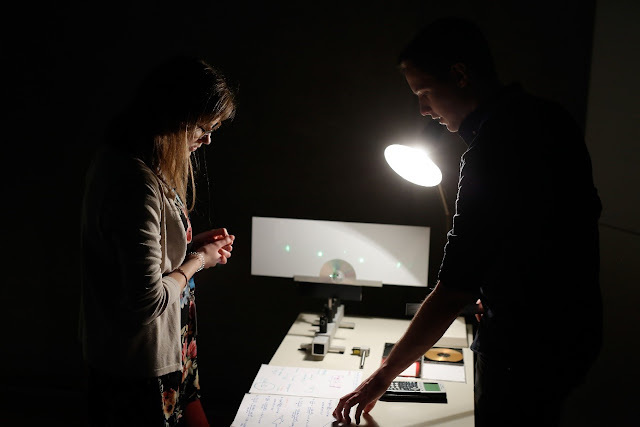 We created a demonstration station called ‘De geheimen van licht’ (‘The secrets of light’), which featured a dark room where people, both young and old, could walk through and experience our six optics experiments. They could learn about the primary colors of light and how they are used to color LCD screens; explore the concept of diffraction and how that correlates to different information densities on CDs and DVDs; and discover fluorescence and phosphorescence through several fluorophores. We showed how the color of a molecule can be translated to an absorption spectrum. At one station, we demonstrated the absorption and reflection of light using gummy bears. At another, we used M&Ms to show how the color of a light source can influence our perception of an object’s color: participants were asked to sort the M&Ms by color, using either a red, green or blue light, and this proved to be an impossible (and humorous) challenge, as not one person managed to do it correctly. To include a little bit of our daily work, we also explained second harmonic generation which is used in a green laser pointer, and compared this with a red laser pointer. Finally, there were two DIY experiments, where attendees could discover why the sky is blue and how to make a glass rod disappear in solvents. 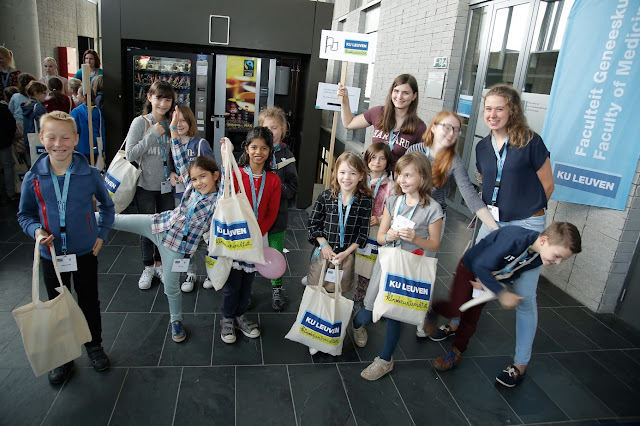 We are grateful to the Science Communication Department of the University of Leuven for all their work in enabling these wonderful events and for making it so easy for us to do outreach with the public. We look forward to future involvement, and are already registered to participate next year. We also appreciate SPIE’s commitment to outreach: two summers ago, one of our board members, Michèle Moris, received the SPIE Officer Travel Grant to attend the Leadership workshop at SPIE Optics + Photonics in San Diego. The day after the workshop, Michèle attended the high-energy Optics Outreach Games event and saw how chapters around the world were using creativity to share their passion for optics. Michèle felt inspired by the breadth of demonstrations and they ways in which they explained complex concepts in optics. Later that week, she attended an SPIE science-communication course that focused on explaining optics to children, ‘I SEE THE LIGHT! An introduction to basic properties of light,' and included an optics outreach kit. Michèle returned with the skills she had gained from the Leadership Workshop, the inspiration from the Outreach Games, and the course tools, excited to organize outreach activities like the ones mentioned above. Although outreach may seem like a lot of work, the feeling you get when you notice a child has learned something from your activity makes it all worth the effort. Seeing that same child’s parent have an “Aha!” moment also brings a smile to our faces. 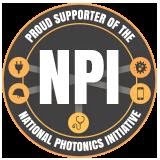 We feel that light and optics are so important to our everyday lives, yet remain a mystery to so many: it is our jobs as scientists and engineers to do the work of science communication. In fact, we think outreach is something every research group should do. Hopefully this blog has inspired you take the step towards outreach! We wish you the best of luck!